Shopping for new floors? Don't make the mistake of considering only your own preferences. Take your furry friends into account, too! 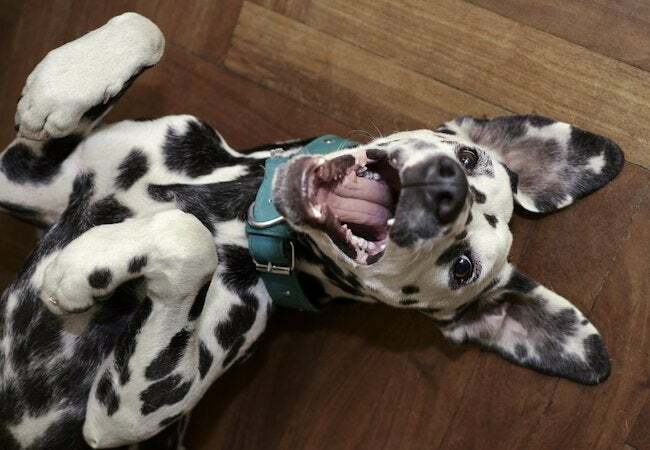 Pets may be great companions, but they’re not always kind to their owners’ homes, and that’s especially true of flooring. Here are some tips and pointers to bear in mind. Though it deserves its reputation for being long-lasting, hardwood doesn’t always stand up to well to scratches. Some species are even more vulnerable than others. So, particularly if you’re a dog owner, try to stick with the hardest of hardwoods—maple, for example, or oak. No matter the type of wood, make it a point to clean up pet accidents as soon as possible to sidestep any risk of staining. Stone, tile, and concrete floors are resilient and easy to clean. Yet all are rough on tender paws and tend not to be inviting surfaces for animals to rest on. That said, area rugs and pet beds go a long way to add comfort and warmth. Laminate flooring actually stands up surprisingly well to scratches and pet messes, but if your pet loves to dart around the home, be advised that laminate tends to be slippery (unless you choose one with a textured surface that provides traction). Last but not least is carpeting—a material most pets love, but which absorbs odor over time and isn’t easy to clean. If you decide to go the carpet route anyway, just be sure to choose one whose pile isn’t likely to snag your pet’s claws.